If you’re still looking for more about the book, check out the article I wrote for the Harvard Business Review Blog (still one of their most read articles of the past month), or the excerpt that ran at FastCompany.com. 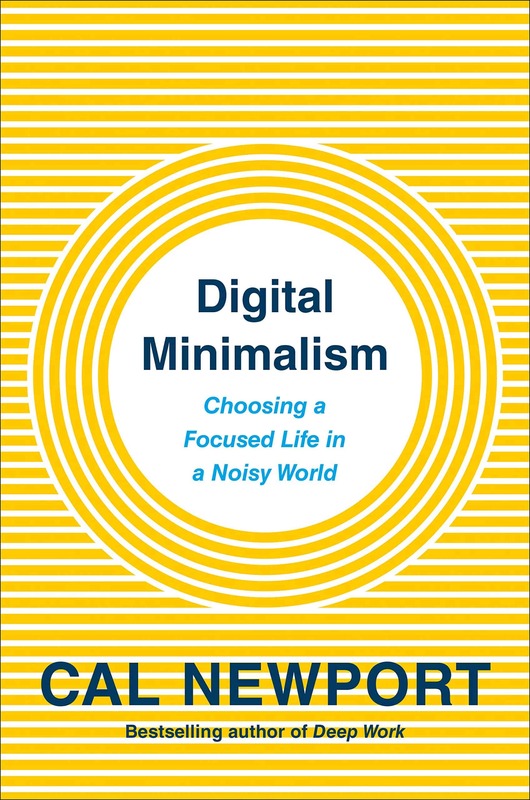 Also unrelated to the book, Daphne Gray-Grant has recently launched a series chronicling her experiments in applying the principles of deliberate practice to writing. Thought some of you might enjoy hearing about her adventures in career craftsmanship. It took me a few years out of school to realize the folly and needless anxiety and pressure that stems from the “always follow your dreams” mantra which was shouted from the rooftops. Since I didn’t particularly have a dream, there was obviously something wrong with me;) (I really did try to force myself to have one) Then I remember how the anxiety vanished when I simply chose to apply myself fully to the “pretty good” job I had, even when I knew there might be “better” jobs out there. You’re spot on. Our generation seems to be spending their youth worrying about a fantasy when happiness and worth is right in front of them. A very inspiring article. You are quite right. I will share your thoughts with my grad students. Congrats Cal, on all the recent success with your writing. And despite the realities of too many of my close friends, I always appreciate a good law school jab. Follower of the blog for a few months now and I was wondering, is the current direction of the blog is down the career path and no longer university orientated? Now as a professor, it would be interesting to see the viewpoint from the other side and whether that would influence your past advice. In my country (living somewhere in Asia), it seem that most people passion were money, hence what job they do doesn’t matter much as long as it’s ethical, legal, and great income. Is it a good thing? Well maybe yes in a way people are willing to accept any job and work hard, but on the bad side, people are doing everything they can to boost their chances of getting a high paying job by aiming for grades and Co circular activities/competitions to impress. Bell curves in the local universities tend to be rather screwed as many students were studying/preparing projects during the weeks/mths before even the term starts, gaming class participation by constantly asking advanced questions (which they already knew the answer to)to gain points (part of module grades) thus making getting an A a difficult job unless you join them working hard and making connections with seniors. In the end the ones who succeed did get their scholarships and high paying jobs, but I do have a feeling many never enjoyed their job other than the lifestyle the money can bring for them. I’m not sure if this is something similar to the theme of “don’t follow your passion”, but it seem that if everyone were doing it, it can be pretty bad for the society. A job at Microsoft, a PhD from MIT, or the start of a non-fiction wiring career is not a hard choice. You win either way. Just read your newest book, Cal. 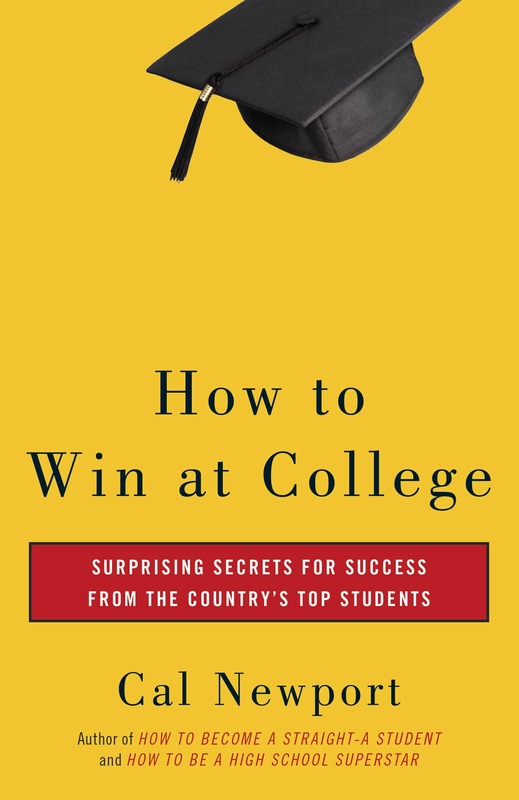 I read “How to Win at College” last week, and also bought the red book this week. You are way ahead of the game! I’m just frustrated that I didn’t discover your blog in my first semester of college (which was around the time you started Study Hacks). A LOT of headache would have been avoided, haha. Great advice that needs to be propagated by more career counsellors. You suggest to, in-essence, bring value into whatever you are doing which will inturn initiate a positive-feedback loop where you gain confidence and passion for what you’re doing. This should also incorporate feelings of autonomy and “usefulness” to some broader, worthwhile purpose. The problem I see here is this probably won’t work when taken into context of opportunity per person. For example, you had a choice between 3 options that, I’d say >90% of people your age would die to have (even one of them). Compare that that someone who had an “average” choice between…say painting in their parents’ basement versus (insert blue-collar job). Some associated opportunity costs to the latter scenario are less autonomy and/or less feeling of worth (unfortunately society ranks professions). The end question becomes: Who can afford to let passion come to them? It seems to me that, within a society where each person is constantly trying to shine a little brighter than the next person, this option by itself will not always lead to a better outcome. Finding passion still appears to be based on some individual-specific combination of luck, hard-work, and “talent”. Was also asking myself what it would mean for society if Cal’s advice, specifically getting so good they can’t ignore you, were widely adopted. A society where everybody would be so focused on getting excellent at their work brings images to my mind of a never ending rat race. I’ve been trying to get excellent myself. At the high levels it’s tough and getting tougher. Lately I’ve started to realize that my youth (I’m 30) has been sliding by while I’ve been so caught up with work and ambition. Decided to teach myself to enjoy the low-key pleasures of life more. On the other hand, there’s many very helpful ideas I got from this blog. Thanks. @ Bill W. I’d be interested to know whether your opinion changes from “…help them define their mission, vision and “signature skills,” after you read the lad’s book here. @ Ana, “Was also asking myself what it would mean for society if Cal’s advice, specifically getting so good they can’t ignore you, were widely adopted…” Respectfully, this will never happen in your or your great great great granddaughter’s lifetime. And therein lies the beauty in Cal’s message. Most knowledge workers will simply not put in deliberate practice to build career capital. Put in the hard work and Stand Out! I wish someone had taught me this when I was a young adult (I could’ve avoided a debilitating disease). Ironically, I just finished reading Talent is Overrated a week ago and began to implement a deliberate practice plan (after consulting with an expert). 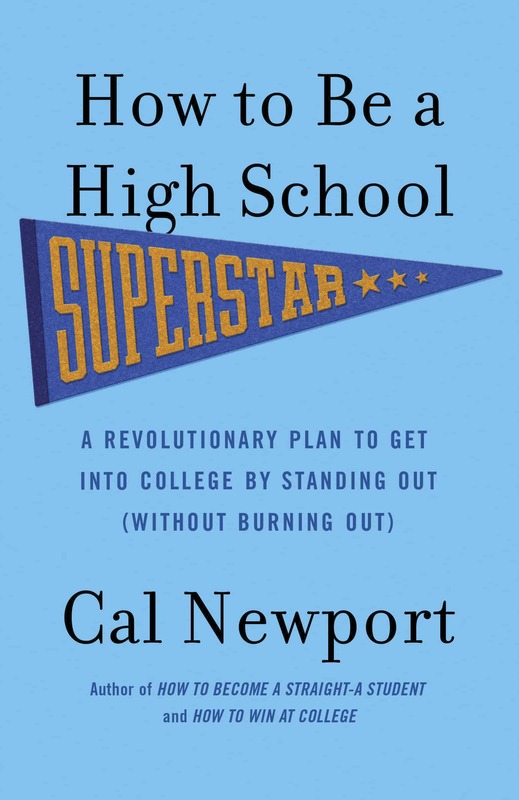 After reading Cal’s book, I know that as an old adult, I am on the right path. This is a really common problem, and one of the biggest problems with the passion hypothesis’ popularity. I’m glad you have a more nuanced view of career happiness now! Everyone loves a good law school jab! It makes feel better at our 10th year reunion when the lawyers pull up in brand new BMWs! The problem I see here is this probably won’t work when taken into context of opportunity per person. My hope is that my philosophy can provide some relief in a down economy. It can give you confidence to take and squeeze the most of whatever job or job(s) happen to be available, and not hold off in vain for the “right” position. A lot of young graduates who moved back home are suffering from this issue. They might say that they’ve “sent out a 100 resumes”, but that’s lackluster job hunting (hitting enter on a job search site). They are being held back by this idea that there’s some right job that they need to wait for, when they could start the path to passion right now by hustling their connections to get whatever job they can, and then start the process of skill cultivation. And therein lies the beauty in Cal’s message. Most knowledge workers will simply not put in deliberate practice to build career capital. This is absolutely right. Even a little bit of deliberate practice can go a surprisingly long way in knowledge work, mainly because basically no one — except the stars — do it. Great stuff as always, Cal. I’m two years out of undergrad and working in the first job that came a long. I find myself having to constantly remind myself and others that it is a good place to be right now, honing skills, making connections, even thought I’m not necessarily following a specific career path or ‘dream.’ Most of my friends are in medical school and it’s hard not to compare myself to them and their ability to know what they want to do in life. My job is actually in the medical field and sometimes I think, well, I could got to medical school but then I remember that I haven’t wanted to be a doctor since I was 5 and I feel like I don’t belong. I’m going out to buy your book as soon as the next paycheck comes in! Read the NYT article. Bought the kindle book today on a slow Friday at the office. I’m spellbound and halfway through. After about 10 years of pretty painful anxiety and obsession over the lack of good career advice out there, I’m 30 years old and continue with the perpetual struggle. It gets me nowhere to say that I wish I’d found it 10 years ago, but I’m so grateful to have found it now. Hats off to you for all you’ve accomplished at such a young age! 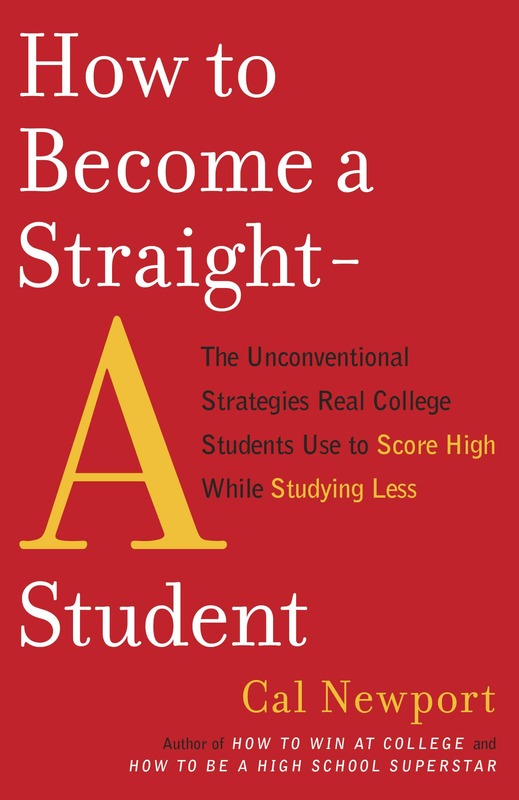 This will become THE CAREER BOOK I would recommend to anyone, and to which I expect to refer throughout the rest of my life to guide me through the many difficult decisions that lie ahead. This is right up there with Steve Martin’s book in my all-time favorites. NY Times AND HBR! Good job! It is a big deal and you should be proud. I read both and liked the way you product differentiated though the idea was the same. It gave me a good model emulate so as to avoid the Lehrer pitfall – which I must admit is extremely easy to fall into. Cal, I like the article and identify with the sentiment. I made a ten-year decision to study astronautical engineering and join the Air Force when I was only 17, because that was the only way I could afford MIT and I wanted to go to school in Boston. I succeeded and got a lot out of that experience by focusing all the fun things around me just waiting to be done. Similarly, I didn’t leave my expensive but fun hiatus at business school with an a priori passion for enterprise collaboration software (few people do I suppose), but I wanted to work in business and live in SF, and I found plenty of passion and success in it for over ten years. However, I also see a network of deeper passions in my life going all the way back to adolescent me that I believe would have benefitted from more deliberation and thoughtful outside guidance to pay heed to my passions. At age 17, in some sense I knew I wanted to use computers and psychology to help people be happy…did it really need to take 25 years to get there? Sure, I was happy and successful along the way because I am well practiced at making lemons out of lemonade. But that doesn’t mean the exhortation to find deep passion is some sort of self-defeating indulgence. That is a false dichotomy. The lemons benefit by always being there to be squeezed, but it is even more enjoyable to make them into lemonade while pursuing your passion. Maybe some people just take a few ten-year iterations to get there. If so, then I’d say shortening that time span is at least as important as enjoying the journey…and the older you get, the more the balance tips in favor of time. For me, for you, for all of us. If you really think about it, what did you know you wanted to do when you were 17? Maybe you were right. We’ll see. This is right up there with Steve Martin’s book in my all-time favorites. Thanks Jeremy. You should consider leaving an Amazon review: potential readers take those seriously. It gave me a good model emulate so as to avoid the Lehrer pitfall – which I must admit is extremely easy to fall into. The issue in the above is you talk about “your passion” like you might reference “your eye color,” “your height,” or any other intrinsic trait. I’m not trying to tell people who have clear driving passions to ignore then. I’m speaking the vast majority of people who don’t have them. Passion that pre-exists significant work in a field is rare. Often, people look backwards and connect the dots: after building up real passion in a field over years of work, they look back to an early interest in that field and promote it to the level of deep passion. But an actual, true, deep passion, pre-existing any specific experience in a field, is not something most people should count on, which is why I am always wary when people talk of them as a trait we all share and must decide what to do with. I love this. I especially like the use of the word passion, because as a software developer I used to see it more and more in job requisitions, to the point where it seemed impossible to be hired without demonstrating that you were sufficiently “passionate” about writing business application software for a corporation. I’ve seen a lot of people spinning their wheels over the years and did my share of wheel-spinning, and it’s nice to see this finally being addressed by someone somehow other than “follow your dream”, “if you can believe it you can achieve it” and things of that ilk. A passion is not a trait. It is an interaction between traits, and the world, and what you decide to do with the resulting combination over time. Thus, no one starts out with clear passions like they do with blue eyes. That is not just rare, it never happens, because passions _always_ have to emerge from interaction with the world, even if they begin to emerge from our first day of life. Because of they emerge over time, following early passions is a very risky proposition since they are based on very little experience, as you point out. That said, the risk of following your passion does not cast doubt upon the ongoing process of introspecting your passions, especially since your passions or motivations are there whether you look at them or not. Nor does it obviate the power of decisions to shape your passions over time, as you seem to agree. Our skill at connecting the dots after the fact does not mean our paths and passions are arbitrary in advance; it highlights the risks most of us face when we inspect ourselves and make decisions thereon. Mitigating those risks is a worthy goal, avoiding them is not an option. So asking how we can improve and accelerate the discovery and development of our passion, or purpose, or life meaning, is not counter to you primary thesis. I meant to extend your thesis by suggesting that the discipline developed by following your advice may be best put to use as part of a purposeful search for passion. While a quick gloss makes it seem semi-paradoxical, combining your advice with such a search invokes a carrot that leads you forward and usefully never falls within your grasp. It is a lifelong and worthy goal precisely because we can never reach it, and thus it instills motivations that are complementary to the discipline you describe no matter what situation we are in. When we face challenges, moving forward to ask ‘What does this say about what I’m really meant to be doing?’ extends your story in a way that backing up and asking ‘Is this what I’m really meant to be doing?’ does not. The answers future-proof our motivations, so as our feelings of geometrically increasing skill inevitably lessen and eventually curve back towards earth, the feeling of putting our skills to good use grows. That is not an argument about your excellent articulation of my past, it’s an evidence-based observation from your future. FWIW, my take on the “Lehrer pitfall” is that when we begin to tell stories, our stories begin to connect the dots for us. When the stories are based on science, they naturally search the vast supply of dots given us by scientists to find the ones that fit. Thus if we tell disciplined scientific stories, our main risk is one of omission, a risk that is mitigated by the evidence-based nature of scientific insight at the same time it is increased by science’s reductionist approach. Evidence is tricky enough on its own, but if the story gets away from us, like it did for Lehrer in his last book, then we can easily slip into the sin of commission. We begin to insert little white dots that don’t really fit, or even invent dots entirely just because they are plausible and should probably be there in the service of the story. I’m a product guy, not a popular writer, but I see both tendencies in myself and others all the time. Luckily I can use the external standard of whether or not the product actually works to keep me disciplined. I suspect I need that crutch, and would find it hard to keep control of a story like yours without it luring me like Lehrer into the pit – as far as we have come, 21st century books still have relatively weak feedback loops in their footnotes and surrounding social media. So my hat is off to you! I look forward to reading the book and hope to give it to my daughter when she heads off to college about ten years from now.